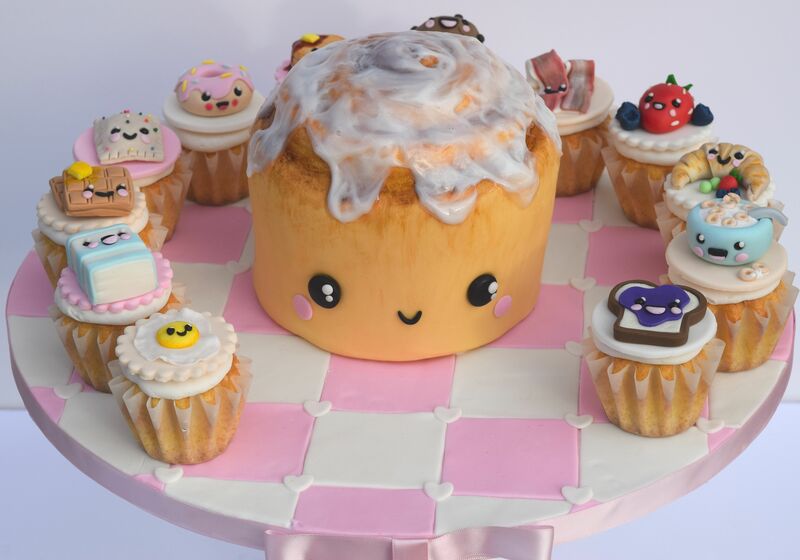 In our March/April issue, Jean Schapowal shares a wonderful tutorial for a cute kawaii-inspired cinnamon roll cake. 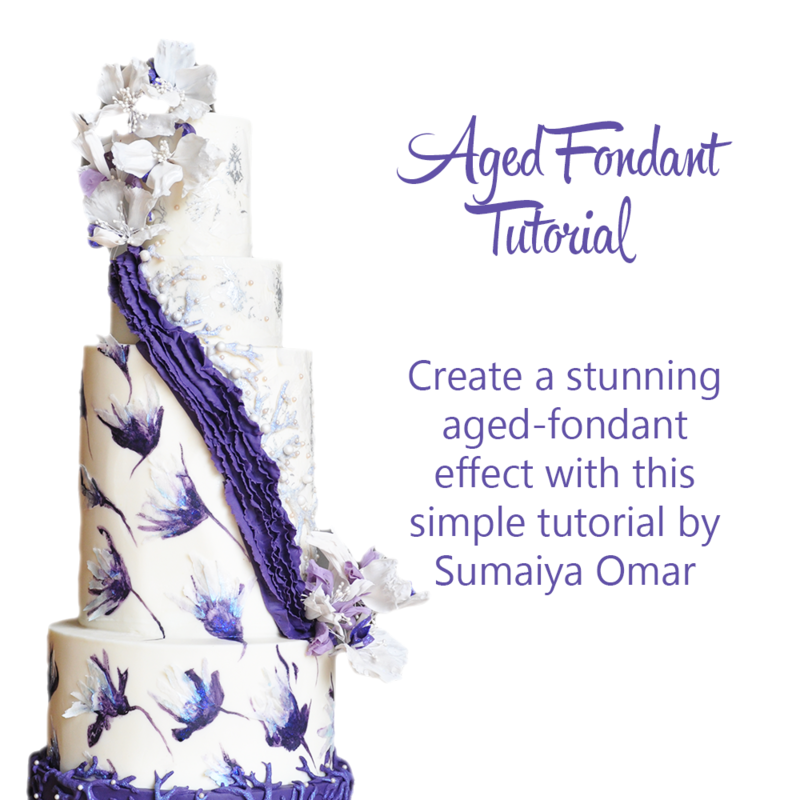 We loved her decorative board and asked Jean to share a short tutorial for this easy effect. 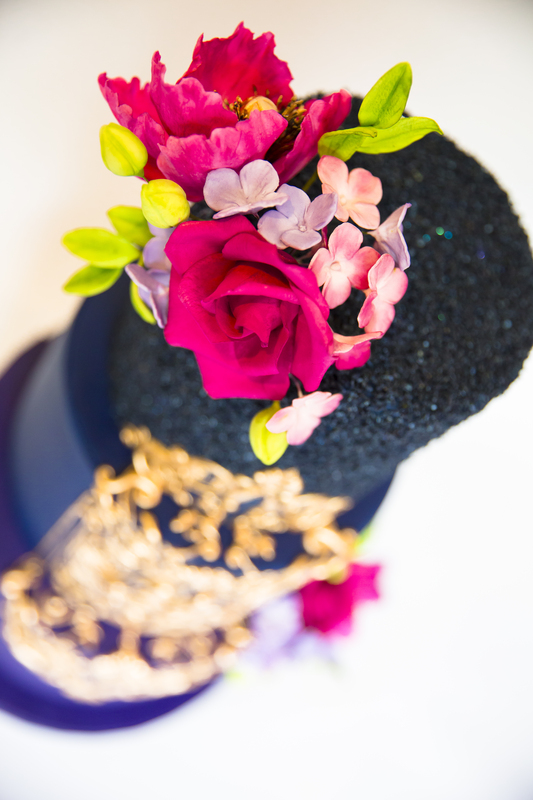 What a fabulous way to jazz up a cake board! 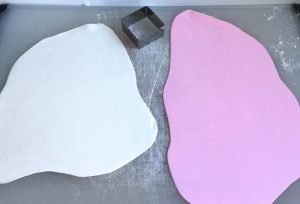 Condition some white and pink fondant mix with a little shortening and roll to approximately 1/8″ thickness. 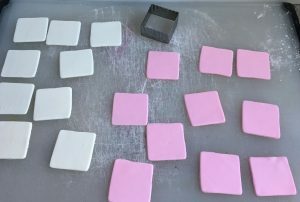 Jean notes: Take care to roll the fondant mix out evenly so that all the squares are the same depth. Using a small square cutter, cut out as many squares as you need to cover the board, you will need an equal number of each. 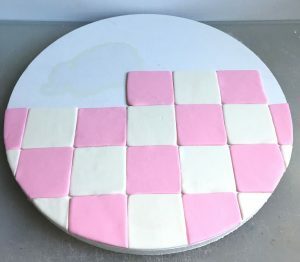 Beginning in the center, add the squares using a little edible glue, working outwards, alternating with pink and white until the cake board is completely covered. Jean notes: Use a sharp knife to trim the excess from around the edge and leave a clean outside edge. 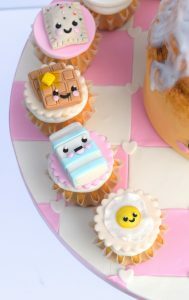 Roll some white fondant mix to 1/8 inch and cut out some small hearts, adhere these to the corners of each square to cover the join. 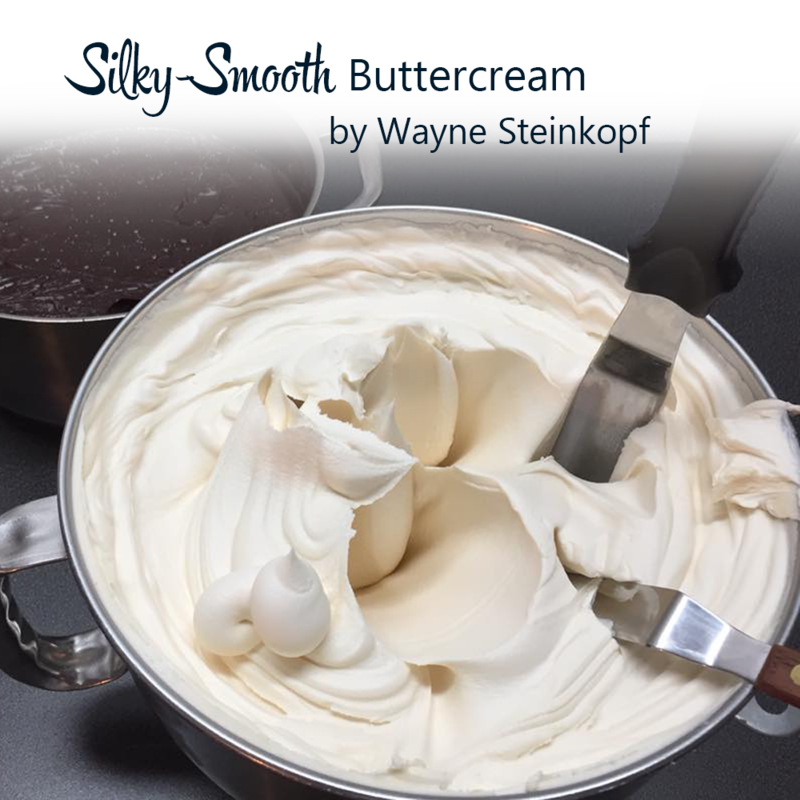 You can bake the board in a low over (170 degrees) for 10 minutes, or allow to dry overnight. Add a ribbon to the edge of the board with a little glue. 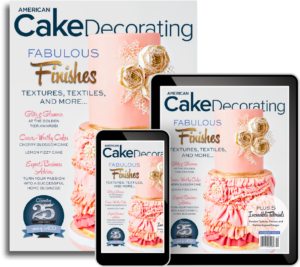 Get the full kawaii cake tutorial in our March/April Let’s Party Issue!! Jean Schapowal is an award-winning baker and owner of Cakes With Character. 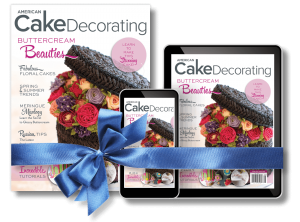 Jean specializes in custom celebration cakes, and is particularly known for her bold designs and use of color.